Now taking bookings for 2020 – summer 2019 is fully booked! Rye Island is located in a rural location, 20 minutes North of Brighton down a private track, surrounded by downland views and farmland. It has a feeling of being completely remote, yet the town is only a 5 minute walk away. The site has a ‘Festival Wedding’ feel and is owned by Katherine Hudson creator of The Rabbit Hole stage at Glastonbury which is probably why there’s a night-club in a barn! It has a stunning lake-view marquee site, a double-decker treehouse, lots of outdoor furniture, creative décor wherever you look and bell-tents to create a glamp-site. It’s ideal for couples looking for a laid-back, festival-style wedding. In the surrounding areas there are plenty of train stations to choose from, all approx 20 minutes away including Haywards Heath, Hassocks, Wivelsfield and Porstlade, and the A23 takes 50 minutes to get to London and is just 10 minutes away. 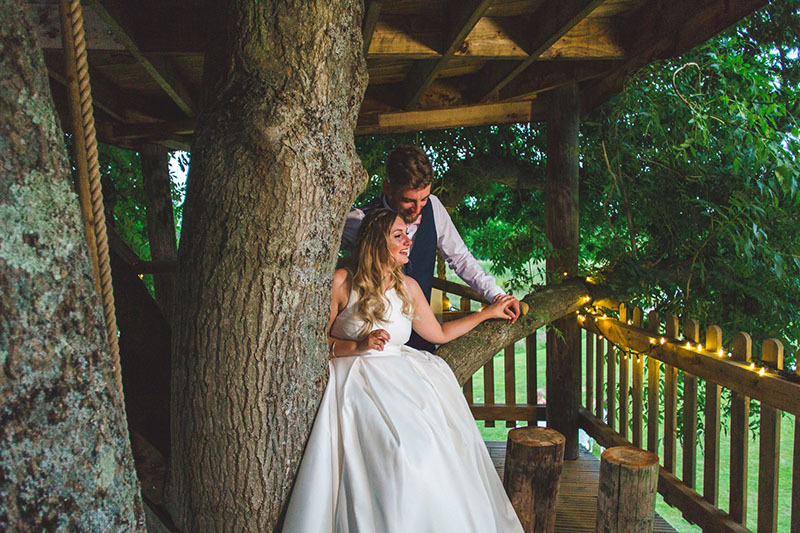 ‘Outdoor Wedding Venue 2019’ winner in The British Wedding Awards. 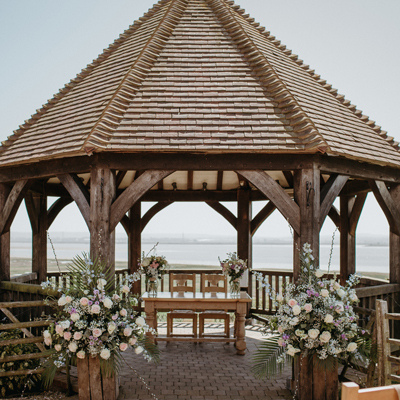 There is a laid-back festival-feel to Rye Island and the stunning marquees available are through House of Hud, one of our absolute fave marquee suppliers who specialise in VIP areas at some of the UK’s best festivals. There is a beautiful lake surrounded by trees and lighting with a rowing boat you can use (great for photos), a tree-house, amazing décor in the party-barn, a firebowl and outdoor furniture for night-time sessions all surrounded by picturesque open farmland and the South Downes in the distance. Onsite there are also several interesting ways of accommodating 20 guests within tastefully decorated out-buildings, a glamping dome and luxury airstream trailer, and accommodating another 40 guests within bell tents too. * Sleeps 18 inside and 40 in tents.